You can make a difference at Hollins through a life income gift, by making Hollins a beneficiary of your retirement plan, and more. Why did you decide to make a planned gift for Hollins, instead of an outright gift? I first put Hollins in my will decades ago. As soon as I had a will, Hollins was in it. Now that time has passed, I am setting up a trust for my own personal financial situation. And as I look ahead to my 50th reunion later in 2014, this is the perfect time to solidify these plans. When I realized I would never have a daughter I could send to Hollins, I knew Hollins would be substantial in my will because I still want to provide support to the institution that meant so much to me. What inspires you to give to Hollins? Gratitude for what Hollins gave to me, and affection for the institution and what it stands for. There are a number of institutions that are important to me, but in terms of significance, Hollins tops the list. Hollins changed my life, from my major in English to my time in Paris on Hollins Abroad. I am eternally grateful for the experience of being at Hollins. I want to ensure its sustainability, and it makes me feel good to be able to do so. A planned gift assures my commitment to a place I believe in, after I’m gone. I support Hollins during my lifetime. Why wouldn’t I want to continue that? Just because I’m dead doesn’t mean I no longer care! On a more serious note, it is a perpetual investment in my Hollins diploma. As long as Hollins is there, I want it to be supported. Why do you think alumnae should include Hollins in their planned giving? You don’t have to be a capital-P Philanthropist to make a planned gift. No matter what level of support you can give to Hollins, there is joy in sustaining your alma mater. Hollins is a great place to be from—the doors opened for me, the experiences I’ve had, the community and network of alumnae. It is an underpinning of my entire life. I doubt any alumna gives more joyfully than I, but I hope others will try. 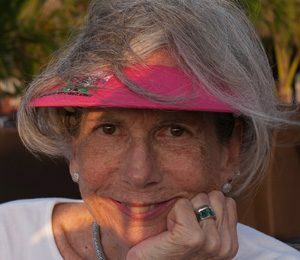 From earning her pilot’s license in the early 1960s to hot air ballooning across every continent (except Antarctica, though she tried), Sandra “Sandy” Kirkham Gallant ’54 was a vivacious, generous woman, who credited her Hollins education in psychology with changing her life. It was thanks to a scholarship she received that Gallant was able to complete her degree at Hollins. After receiving an M.S. 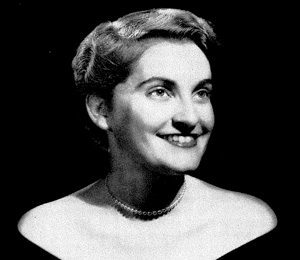 in clinical psychology from the College of William and Mary in 1956, she became a clinical child psychologist in Winston-Salem, where she practiced for 35 years. To honor her 40th reunion in 1994, Gallant gave an outright gift to Hollins, along with a deferred gift to establish the Wade M. and Sandra Kirkham Gallant ’54 Scholarship. Upon her death in 2013, her estate provided for the full endowment of her scholarship, which supports psychology students. In addition to loving to fly, Gallant was a gourmet cook and gracious host, who was known to exclaim, “Another coup from the kitchen of Sandy Lou!” The everlasting gift of her scholarship is indeed a coup for Hollins and for future generations of students. Reduce inheritance taxes by designating in your will specific gifts of cash, property, or a percentage of the remainder of your estate. Assets can stay in the family while your gift reduces estate taxes and supports Hollins. Gifts of appreciated property can generate income for you with positive tax benefits. Examples include gift annuities, and charitable remainder trusts. Designate Hollins as a beneficiary of a paid-up policy or a new policy, help the university’s future endowment, and get a tax deduction. You retain occupancy of your property for life, but give your primary or vacation home or farm to Hollins for her future benefit. Name Hollins as a beneficiary of your IRA, 401(k) or other qualified plan and avoid the double taxation your retirement savings would face if you designate them to your heirs. Your plan administrator can provide you with the necessary documents to designate Hollins to receive a portion or all of your plan. Contact us to learn more about planning your gift to Hollins.